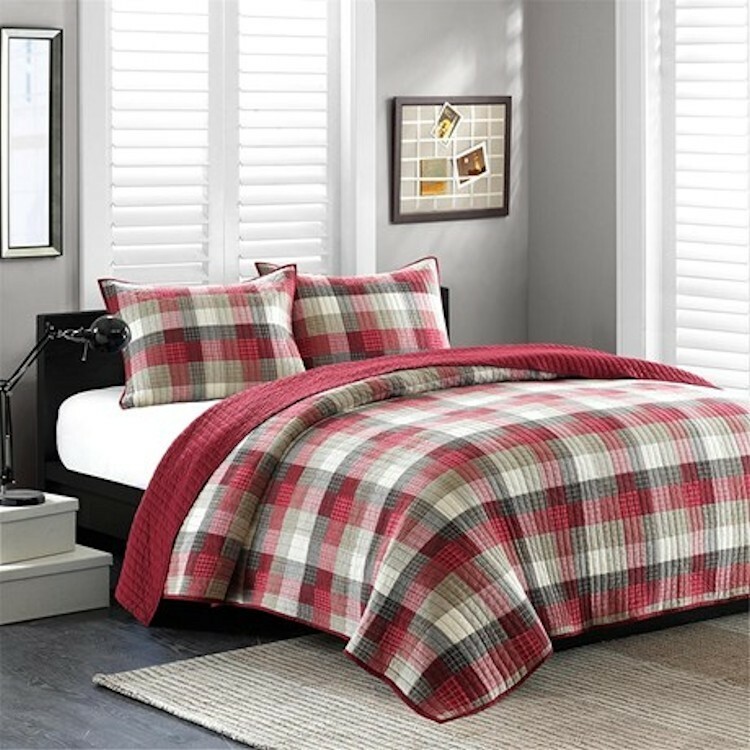 The Red Maddox Coverlet Sets create a casual yet sophisticated look with this patchwork quilt. Shades of yard dyed red and khaki work together in small squares adding value and dimension to both the coverlet and shams. Made from 100% cotton, this sets include (1) Coverlet and (2) Pillow Shams (1 with Twin).